The beauty I found in African wildlife, especially the Zebras on my trip to Africa. It was such an enjoyable experience to watch as their distinctive stripes danced among the herds of Wildebeest. 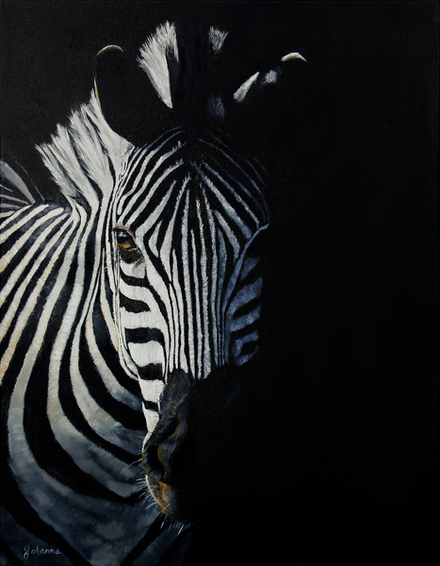 Their stripes are like our fingerprints, as no two are alike and Zebras are considered to be very sociable animals. Won the Daniel Tennant award for realism at the 2015 Jericho Fine Arts Show.